To bring down the baggage of rubbish on the environment and to reduce the pollution caused by it in landfills the society needs to wake up to the problem. They need to understand that minimizing the amount of waste generated at landfills is the best way to bring down problems caused by increasing garbage. It should be the endeavour of every consumer, whether commercial or domestic, to recover as much material as possible from the material discarded in daily activities. This will leave a smaller amount of garbage to be disposed. The resultant garbage will be taken care of by waste clearance companies in the EC1 Clerkenwell area. We have been involved in waste clearance in EC1 Clerkenwell area for quite some time, and you can entrust the responsibility of collecting the waste generated at your household or business premises to us. Waste clearance is often a costly proposition since it involves separating waste into different class es, transport them and then arrange for their specific routes of disposal. As garbage is becoming more diverse in nature the task of separating them into different categories has been becoming more complex. Again, the charge of dumping garbage at landfills has been steadily increasing to discourage dumping. Cost of transportation too has increased over the years along the penalties for non compliance with waste removal and disposal stipulations. However, you can get cost effective waste clearance if you stick to some of the basics of waste generation, collection and disposal. We can help you cut down on the expenses of waste clearance by recycling as much of your waste as possible and sending the minimum amount to the landfills. 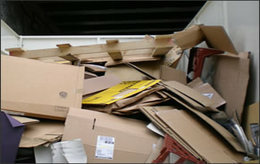 So if you are looking for cost effective waste clearance you need not look further than us. 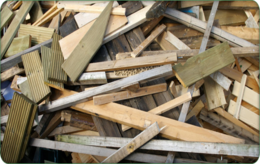 There are some factors that increase the cost of waste clearance. Let us go through. Skip hire – Skip hire is the cheapest form of waste collection and disposal. However, there are restrictions on use of skip hire. You cannot use it for every kind of material such as toxic, hazardous, liquid and some others wastes. So if you have any of these materials discarded at your premises you need to go for a man with a truck mode and that will increase the cost. Skip permit – there are some companies that stipulate that you have to arrange for skip permit for which you have to spend. With us you do not need to go for skip permits. Recycling – the more of garbage generated at your end is recycled the more cost effective it is going to be for you. We try to recycle as much as possible of the waste. This brings down the cost. Defunct electronic and electrical items make up a major portion of all the commercial and domestic garbage in EC1 Clerkenwell. Such items are toxic to the environment may contaminate underground water and soil if dumped in landfills. The toxicity of such material has resulted in drafting of WEEE guidelines that stipulate that at least 4 kg of material should be recovered from such junk per person per year. We are also doing WEEE waste clearance keeping the WEEE directives in mind.